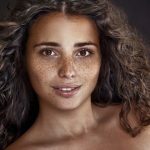 Freckles are not just pretty – they are downright gorgeous. A splash of freckles across the nose and cheeks adds an extra pinch of character to your face. With natural beauty blowing up on social media, more and more women have started to embrace their individuality and all of their unique traits. The beauty industry has come a long way from obsessing over “flawlessness” to evolving into one where we’re all in awe of our authenticity and imperfections. 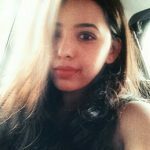 Imperfection is the new perfect – and gosh, is it refreshing! If you are a freckle-faced woman, you’re among the lucky ones. Freckles are having a huge moment, and everyone wants them. So, brands are selling makeup products (er…freckle pencils), so people who fancy freckles can give themselves some faux frecks. 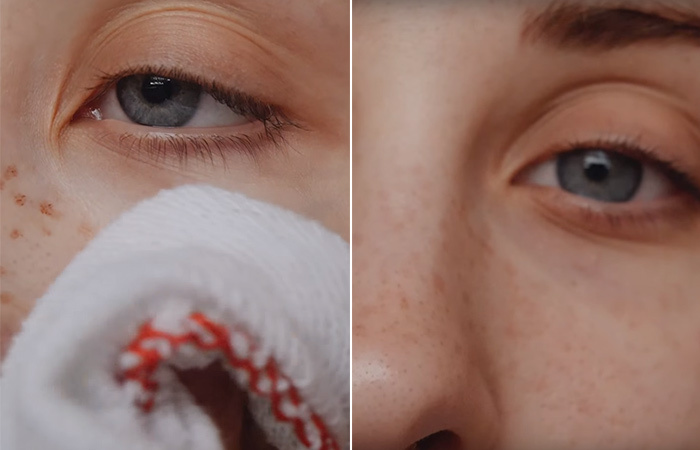 In honor of freckles and unconventional beauty trends, we’ve put together a makeup tutorial to help you achieve realistic-looking freckles using makeup. Read on to get freckled! No matter what makeup look you’re going for, prepping and pampering your skin beforehand is key to a beautiful base. The ideal prep routine involves cleansing, exfoliating, toning, and moisturizing your face. Create the freckles with bronze self-tanning mousse and a thin pencil brush. You can also use specially designed makeup products, like Freck’s Freckle Makeup. Depending on your preference, you can add as many freckles as you want. Leave the self-tanner on to develop for 15 minutes or more. After 15 minutes, gently wipe the freckled area with a wet face cloth. Don’t use too many face products after doing this to allow the freckles to develop a little longer. Mix a pea-sized amount of your foundation with the same amount of moisturizer (don’t use a foundation that offers full coverage). Use a brush to buff the product into your skin. Then, use your fingers to blend out any unevenness. If you want a more natural look, you can skip this step altogether. 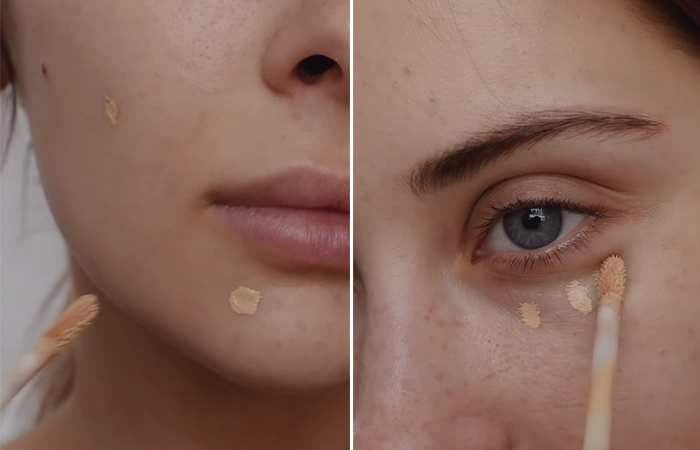 However, if you’re struggling with dark under-eye circles or spots, using a tiny bit of concealer goes a long way in making your skin look fresh. Use a lip brush and a natural-toned lip color to create a subtle ombre lip. Keep the color very, very soft. Pop the same color onto your cheeks for a subtle, rosy flush of color. Did you know freckle tattoos are a thing too now? Just like eyebrow microblading, freckle microblading is the act of tattooing your skin with a semi-permanent pigment using ultra-realistic strokes. But if you can’t commit to the idea of freckle tattoos, it is best to stick to makeup when you want to create the look. 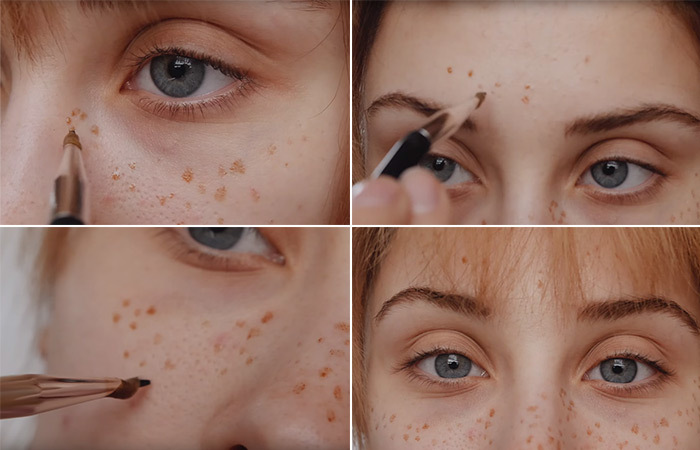 That was our take on how you can create realistic freckles while showing off your natural skin. What do you think about freckles? Are you going to give this tutorial a try? Let us know in the comments section below.